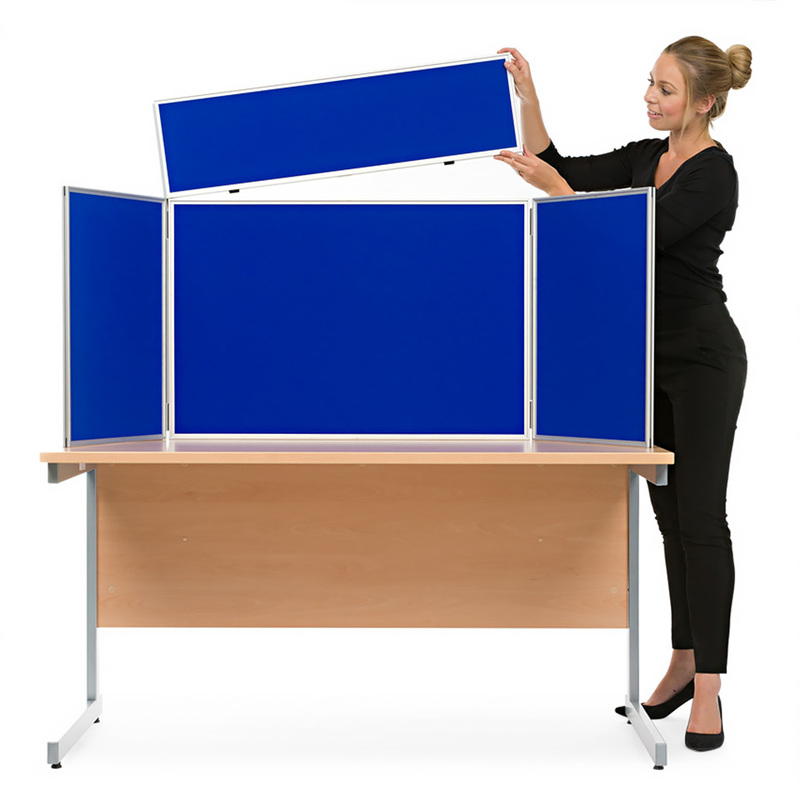 This folding display board fits well on a tabletop and comes with 3 panels, header panel and carry bag. With an aluminium frame this display board is lightweight and a very easy system to use and transport. 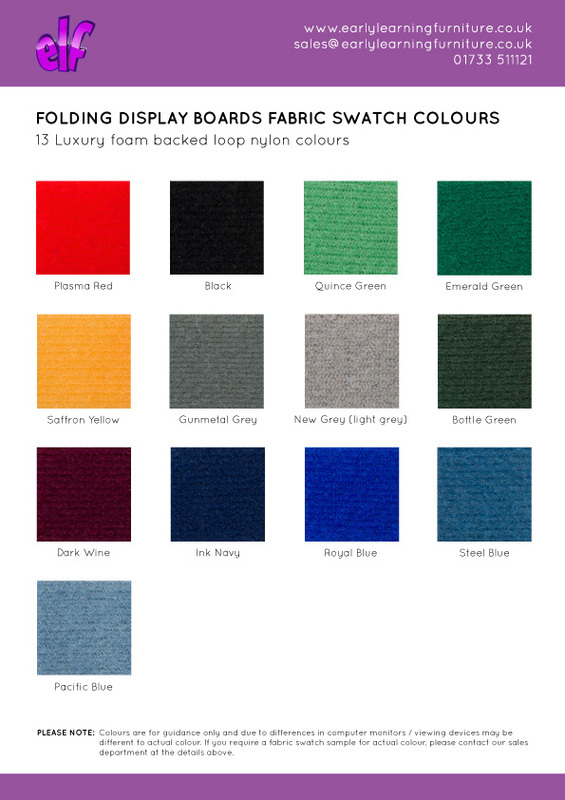 Each panel is covered both sides with luxury loop nylon which comes in 13 colours. 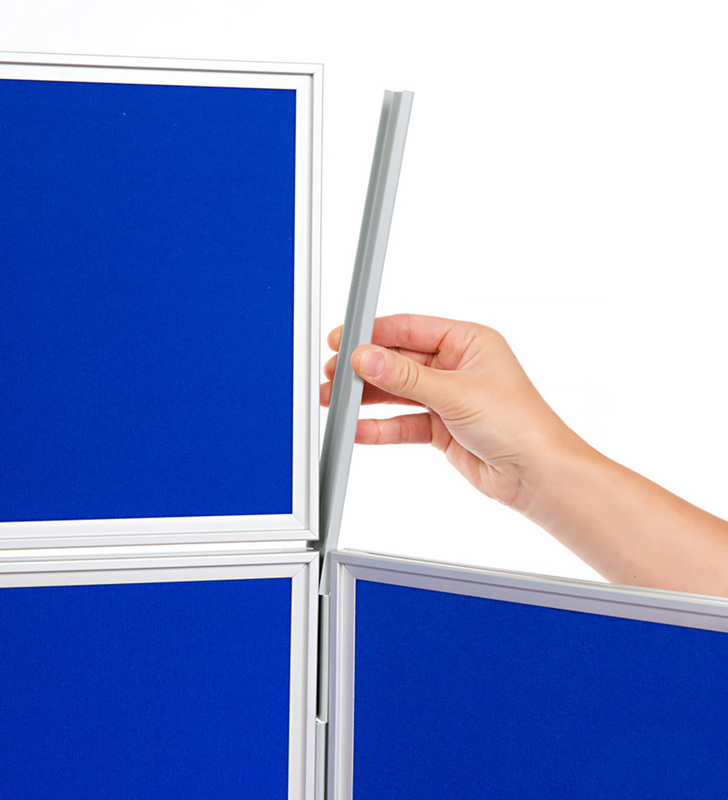 The fabric is Velcro-friendly so you simply need Velcro to attach your display materials. The aluminium frame has a recess one side allowing graphics to remain in place, even when the display board is folded and stored. 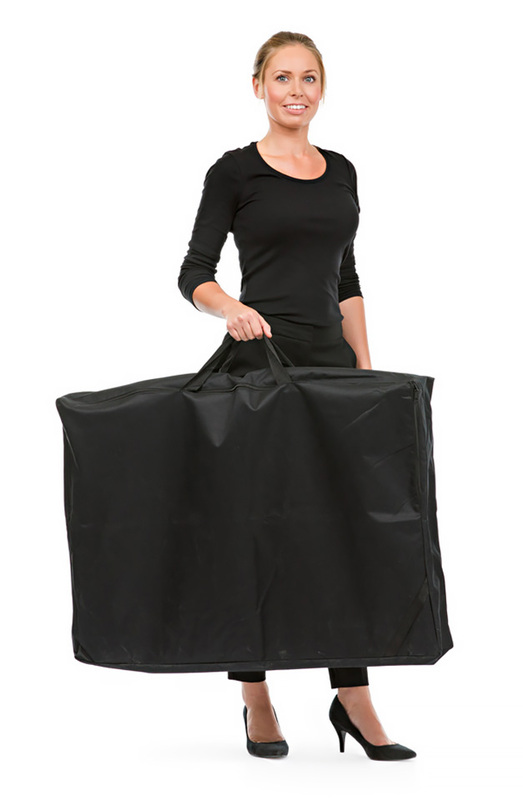 Ideal for displays and exhibitions in colleges, schools, pre-schools and nurseries. See our wide range of display boards. For more information please Contact Us or call us on 01733 511121.